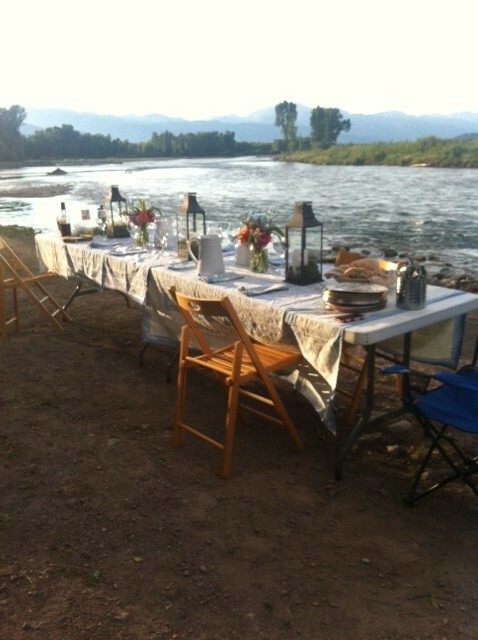 I was invited to this awesome dinner down on the banks of the Snake River. From yummy food, to beautiful flower arrangements, and a fun group; A well planned evening in honor of a family moving away from JH. Wildlife viewing included: a bald eagle and a river otter. Of course, the moose forgot their stage cue!!! This sure was an epic summer evening in Jackson that could have been featured in a magazine.